We cover the entire commonwealth of Virginia and the North Eastern part of North Carolina and are located in Chesapeake, VA.
We do commercial, institutional, governmental work including new and re-roofing, repairs, maintenance. The types of roofing we do include built-up, modified, single-ply, standing seam metal, shingles, tile, slate, shake, etc. This company has a division that fabricates sheet metal, including items such as like copings, gutters, scuppers, chimney caps, etc. We cover the entire commonwealth of Virginia and the North Eastern part of North Carolina and are located in Chesapeake, VA. We do residential work including new and re-roofing, repairs, maintenance. The types of roofing we do include standing seam metal, shingles, tile, slate, shake, etc. 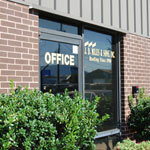 This company has a division that installs sunrooms, patio enclosures, windows, doors, siding, trim, gutters, etc. This company is located in Tazewell, and covers the entire Commonwealth and some of Virginia, West Virginia, Tennessee, and Maryland. 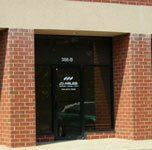 Our current focus is commercial repairs and maintenance. The main focus of business out of this branch is commercial roofing and repairs, but will occassionally manage a special residential project.